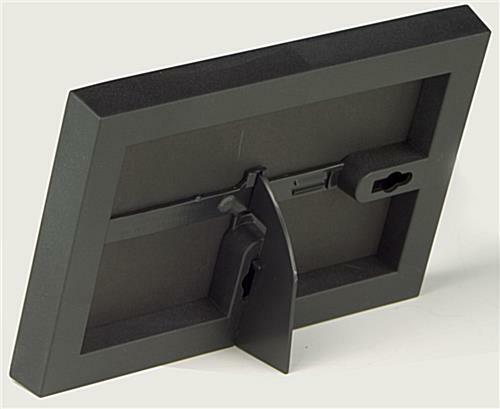 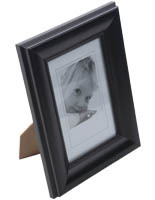 Picture Frame in Black Finish for Wall or Tabletop, 4" x 6"
This picture frame is an affordable way to display your favorite photographs in style! 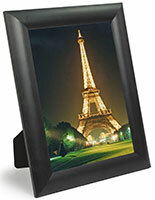 The contemporary black finish allows this picture frame to be placed in any room décor. 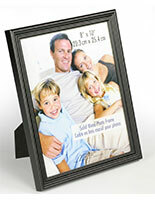 This picture frame looks great on its own, or can be grouped with other fames for a wall collage. 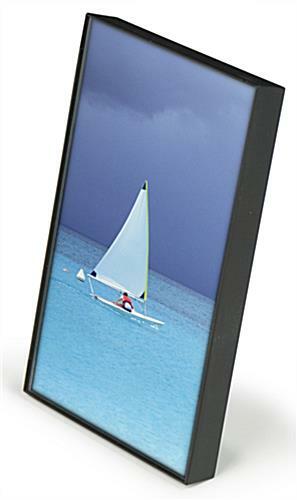 This picture frame is made for your 4" x 6" photos. 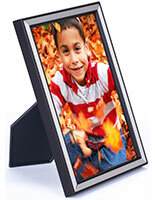 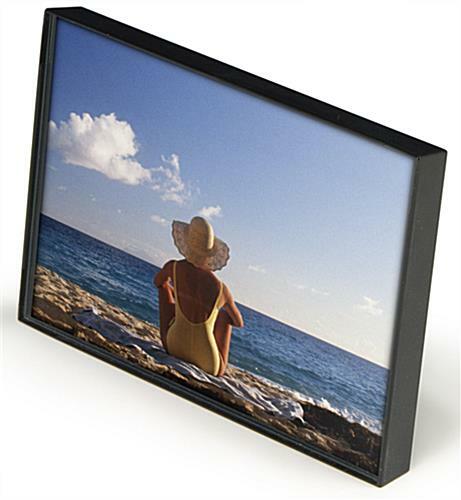 This picture frame, which has a snap-in easel, can sit on a desktop or mount to a wall. 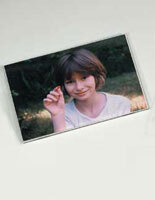 The frame has a thin black border and clear glass front lens. 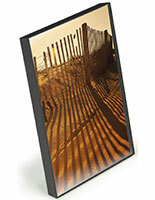 Your photos can be effortlessly loaded and unloaded into this unit by snapping the front lens out, setting your graphic in the frame, and snapping the lens back in place. 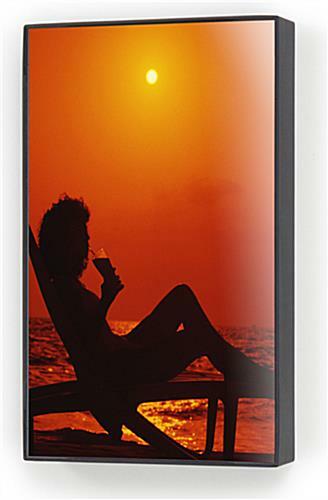 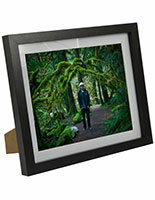 Buy this picture frame to add a personal touch to your work space or to showcase photos around your house. 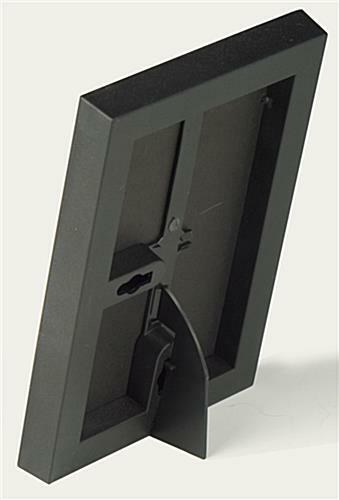 4.1" x 6.1" x 0.625"